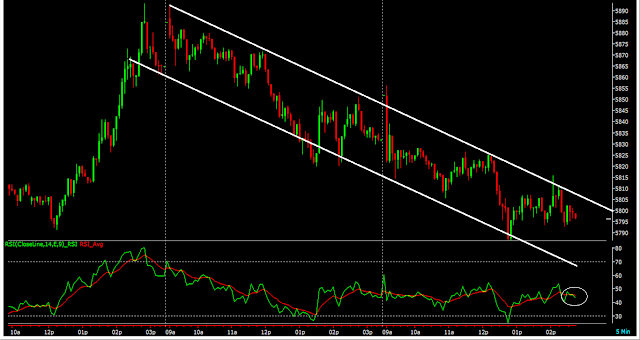 Nifty Intraday Chart: Nifty still moving on within the trend channel. This is first sign of bearishness. We will turn neutral in Nifty trend if Nifty closes below 5830; which is likely to happen. We are on the verge of a big fall if we fail to see a last lap surge in Nifty. At the moment we are looking for today's and this week's close.